Aquitaine Coast is one of the most popular sea destinations in France, especially for surfers who enjoy the waves of the Atlantic Ocean. To the north, the seaside called "Côte d'Argent" offers long sandy beaches lined with dunes. To the south, the Basque country offers a more rugged rocky coastline. On the Aquitaine coast there are famous seaside resorts like Arcachon or Biarritz, and others more secret and equally pleasant. 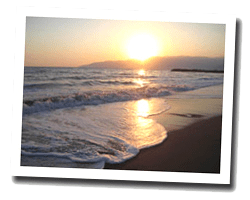 Sea view holiday rentals for all budgets await you, from studio flats to luxury villas. 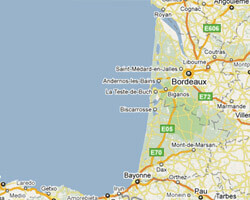 On the Aquitaine Coast enjoy a seaview holiday rental. Recent 130 m2 duplex house with 4 bedrooms with private bathroom, and living room with beautiful panoramic ocean view. kitchen open to the living room and the garden. 4 Bedroom(s), 5 double bed(s). Apartment 110m2, second stage. Facing the beach. Terrace. Direct access to beach and village centre. 3 Bedroom(s), 4 double bed(s). This property 42 sqm is 3 minutes walk from the beach. Offering an outdoor pool and children's playground, VVF Villages Soulac-Sur-Mer is located in Soulac-sur-Mer. 2 Bedroom(s), 1 double bed(s). short stays possibility. Final cleaning : 47 €. This property 49 sqm is 3 minutes walk from the beach. Offering an outdoor pool and children's playground, VVF Villages Soulac-Sur-Mer is located in Soulac-sur-Mer. 3 Bedroom(s), 1 double bed(s). short stays possibility. Final cleaning : 57 €. 4 rooms villa floors 70sq. m "on the beach ". Garden 50sq. m, Terrace with outdoor furniture, deck chairs and barbecue. no smoking. 3 rooms Apartment 60 m2 in the "Les Dunes residence". Terrace with outdoor furniture. Nice view of the sea and the beach. The sea view apartment is located 100 meters from the beach. You can enjoy the terrace and contemplate the sea. This studio for 4 people has an outdoor swimming pool and a terrace with sea views.